Want to know which red lipstick shades suit your skin tone? What's your perfect shade of red? Let our Beauty Team tell you which reds you rock! 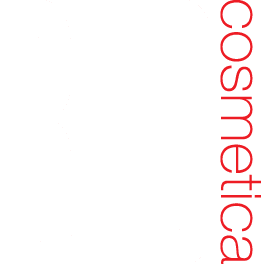 All RED Cosmetica lipsticks are named according to the skin tone they suit best (cool/warm/all) and the finish (matte, cream, gloss) to make it easy for you to pick the shades that suit you in a heartbeat. 1. What lipstick you usually like and/or wear? 2. Is your skin is warm, cool or neutral? The quickest way to work out if your skin tone is to take a look at the veins in your wrists in a natural light. If they look green then you are warm, if they look blue you’re cool, and if they are somewhere in-between your neutral. 3. When it comes to red lipstick do you rock it, hold back a little, hold back a lot … or run away? 4. Would you like us to tell you all the shades and finishes we know you’ll rock? Or just a couple? 5. Attach a recent headshot of yourself (can be with or without makeup)We’ll get back to you within 48 hours with a recommendation of the Red Cosmetica shades that will change your life and make you look and feel like the most beautiful woman on earth. Click the button below to email the beauty team.